Please join us every second Wednesday of the month for Right 2 Survive’s radio show on KBOO 90.7 FM to discuss homeless/houseless issues. We go out at ground zero into the streets of Portland talking to people in Portland’s houseless community and record interviews with people being affected by lack of affordable housing. Occasionally we have visitors from other places or discussions and interviews with people in other cities we visit to share our knowledge and insights with each other and the community. 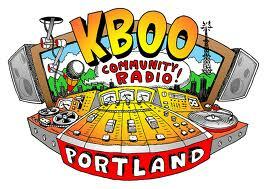 Come and listen live at Sisters of the Road Cafe – 133 NW 6th Avenue, Portland – from 5:30 pm to 7:30 pm. **Air Date: Wednesday, 3/13/2013 – Short description: Hosted by Lisa Fay and Ibrahim Mubarak, this show was dedicated to addressing health issues, lack of healthcare and honoring those who die on the streets. Ibrahim interviews several people who work with these issues, gathering their insights, in Philadelphia where he was attending the United States Social Forum NPC. **Air Date: Wednesday 1/9/2013 – Short description: Hosted by Lisa Fay and Ibrahim Mubarak. Part 3 of the series on Homeless Bill of Rights: It’s back to the houseless community to inquire as to their knowledge of the crafting of the “bill of rights” and what they believe should be included in the bill. **Air Date: Wednesday 11/14/2012 – Hosted by Lisa Fay and Ibrahim Mubarak. Part 1 of a 3 part series on the Oregon Homeless Bill of Rights. This program addresses the daily struggles of oppression, suppression and discrimination, infringement on basic civil and constitutional rights of the homeless. Ibrahim interviews Michael Moore from Sisters of the Road in Portland, who is working on the OHBR through the many perspectives and venues he is connected with. Detroit: A History of Struggle, A Vision of the Future. Darryl Mitchell (Waistline) is a retired Chrysler worker, union activist and former union representative. He was employed by Chrysler from 1971 – 2001, retiring from the old Mound Road Engine plant. He is also a former editor of the Southern Advocate, founding member of the League of Revolutionary Black Workers. As a grandfather, Waistline is dedicated to educating about how and why the system of capitalism is coming to an end due to revolution in the means of production, which is qualitatively changing and destroying the old industrial basis of the economy. He advocates for a Third Edition of the American Revolution: Proletarian Revolution. He is currently working on “American Marxist Glossary” to be published January 2012. “Detroit: A History of Struggle, A Vision of the Future.” A lecture and forum featuring guest speaker Darryl Waistline Mitchell: founding member of the League of Revolutionary Black Workers, author, and Union activist. Thursday Night, October 20th, 7pm @ Portland State University’s Smith Building Room 296. FREE!